Terengganu is a huge state which has most of the Malaysia’s authentic heritage. There are many interesting sights, activities and events can be enjoyed here in Terengganu. Although it is quite a conservative destination, locals here do welcome visitors with a warm and friendly hospitality. Majority of population here are Malays with very few Chinese and Indian residences. Diving and snorkeling are the most popular activities in Terengganu thanks to the beautiful islands off the coast of Terengganu. 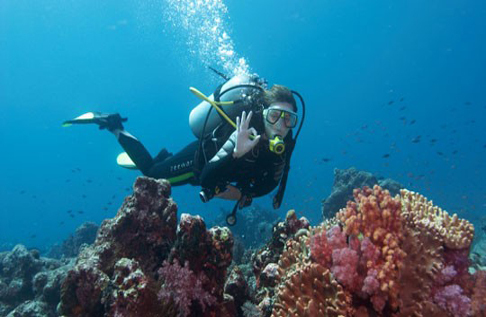 With good underwater visibility all year round and beautiful untouched beaches, the islands of Terengganu attracts thousands of visitors each year just to enjoy the spectacular underwater life and to spend their island vacation with their families. Pulau Lang Tengah, Pulau Redang and Pulau Perhentian are some of the most crowded island destinations in Terengganu. Visitors may go canoeing at the Lake Kenyir or paddle to an offshore islands. There are many attractions in Terengganu which are accessible by canoe. You will be able to stay close to the nature while enjoying the sea breeze while canoeing. Some resorts here do provide patrons canoes or sea kayaks for free. Besides, cycling is also a great way to explore the small coastal villages in Kuala Terengganu. Visitors will pass through some countryside towns and small villages when cycle from Chukai to Kuala Besut, one of the popular cycling routes. Bicycles and equipment can be rented easily here as Terengganu is the place where the Tour de Langkawi cycling competition takes place. Some local travel agencies also help to arrange such activity upon request. For some challenging experience, visitors can go on a four-wheel drive excursion around Gua Musang, Lake Kenyir and Hulu Dungun. The natural rocky interior landscape of Terengganu makes it a wonderful place for the off-road vehicle to perform. These kinds of adventures are always available as arranged by the hotels and travel agencies. On the other hand, to join in some local traditional activity visitors should go for kite flying which took place in the rice paddies or along the coast. It is a traditional activity where people of Terengganu fly their kites at the beaches. Children and adults will definitely enjoy this activity when you get to see so many colorful kites floating in the sky at the same time. Tebu, Berembung, Bunung Gagau and Gajah Terom are some of the popular spots for mountain climbing in Terengganu. Most of the mountains are covered by thick tropical rainforest while some of the mountains are only in the form of granite. In that case, special climbing gears and techniques are required. You may get some guidelines from the local tour company when arranging for mountain climbing. Meanwhile, water rafting is another fascinating thing to do in Terengganu. Visitors can arrange the water rafting at Pasir Raja Forest Reserve or Kenyir Lake. The best time for this activity is during the monsoon season. In Terengganu, visitors can go trekking in some outlying islands or Lake Kenyir which has some very advanced trails. Other trails can be found in parks like La Hot Spring and Sekayu. There are shelters, barbeque facilities and parking provided in the parks. Along the way, trekkers can discover a wide variety of flora and fauna while enjoying the natural rainforest sights. Other than that, there is something unique for visitors to discover, the giant top spinning. It is one of the Malaysian cultures to spin the giant top at the weight of 5 kilograms, in the size of a dinner plate. There is also a yearly top spinning competition that takes place along the Terengganu coastline. The experts can spin the top for as long as 2 hours!